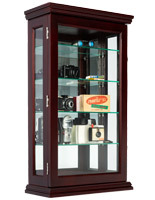 This curio wall cabinet with a wooden frame and black finish is a perfect hanging display case for collectibles or keepsakes. 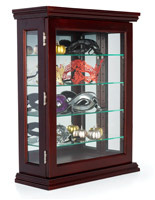 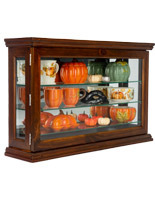 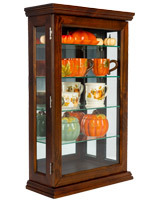 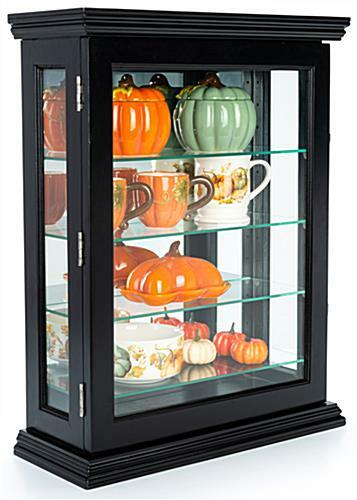 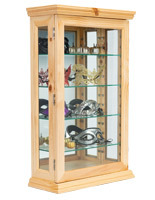 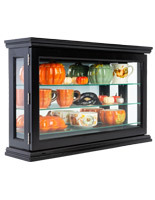 Four adjustable glass shelves provide ample space for showcasing your treasures. 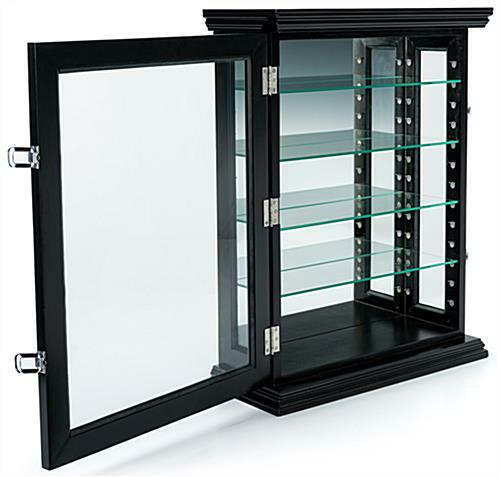 Installation hardware is included for hanging the curio wall cabinet, and you can also choose to use the display case as a countertop unit. 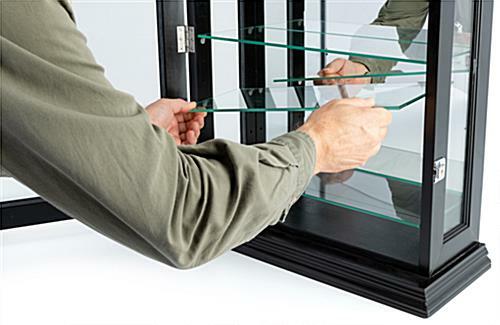 A reflective backer will really make your collectibles and keepsakes shine, while allowing viewers to get a glimpse of your treasures from every angle. 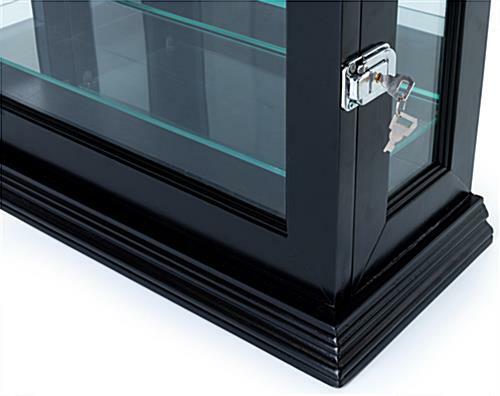 Lock your possessions within the enclosure and have peace of mind that they will remain safe and secure. 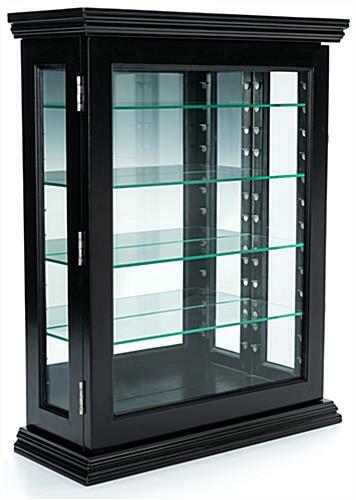 Complete with 4 adjustable glass shelves and an elegant black finish, this curio wall cabinet is a timeless way to show off your treasures. 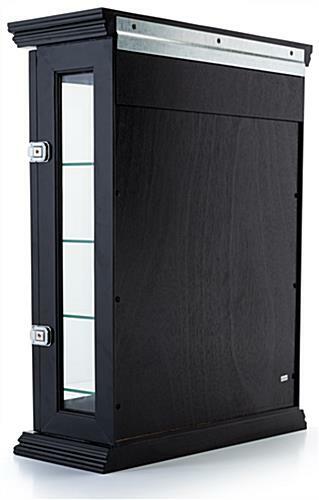 21.5" x 28.3" x 8.5"